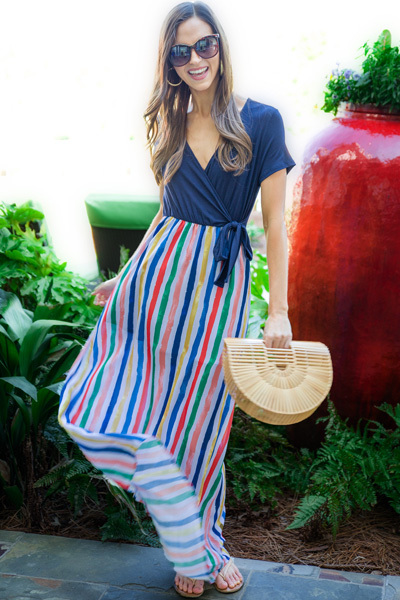 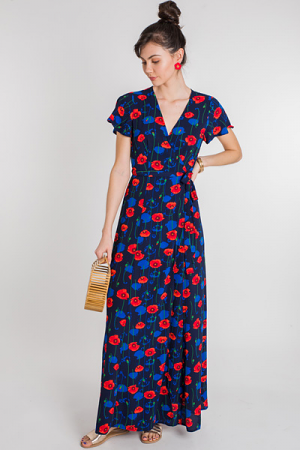 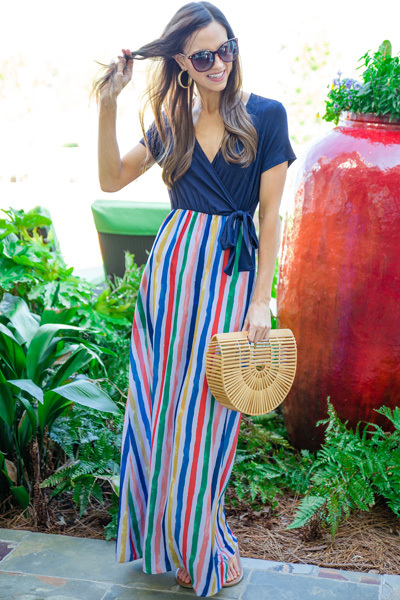 A maxi dress during the spring just feels right! 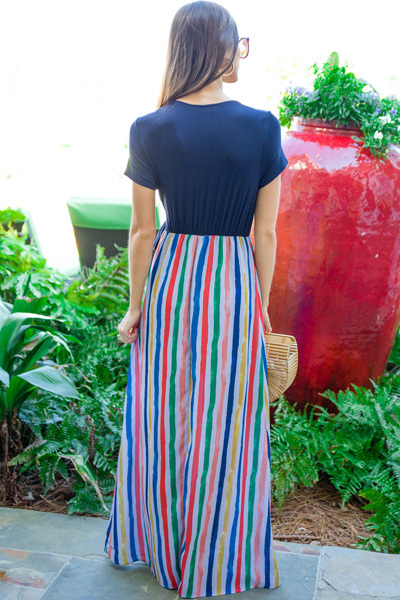 The contrasting navy top + colorful, striped skirt make it the perfect choice for work or play. 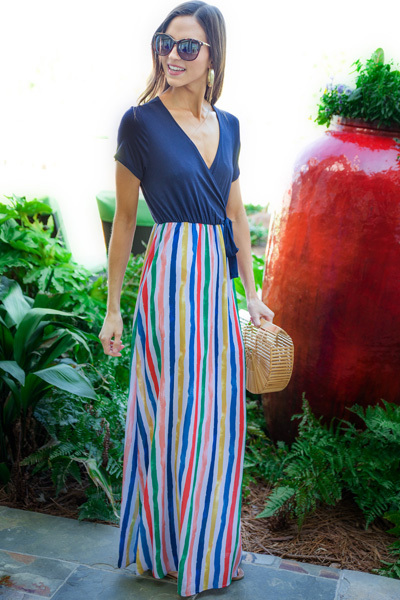 Features a pull on fit with a rayon-blend fabric (with stretch up top), and a pull on fit.